As I continue to work in solidarity with the Burmese opposition groups and with all organizations and individuals who belong to the global solidarity groups sympathetic to the plight of the Burmese people, I would say that there are three (3) prominent and critical issues that Burma is confronted with of which I also always encounter through my work, may it be that my work requires me to be at the border areas or inside the country, and these are (a) the war-torn condition of the country due to the constant intensive military confrontation and fighting between the Burmese army – the “Tatmadaw” and the ethnic armed opposition groups; (b) the gross human rights abuses and the extreme poverty situation that plaque the country which penalizes the lives of ordinary Burmese; and the (c) seriously flawed, stagnant, too backward and oppressive politics of the Burmese generals who have been controlling the country unfortunately for over 40 years now. Consequently, because of all these, Burma or what the military generals termed as Myanmar is a country that is literally bleeding and suffering from different kinds of atrocities and repressions. The concerns and issues it is facing to be more concrete and to be a little bit more specific range from human security issues such as women and child trafficking; gross human rights violations of different kinds such as forced labor, child soldiers and military portering; political repressions such as the continuous confinement of Daw Aung San Suu Kyi, (the democratic icon of the country) in house arrest and the continuous crackdown against the political opposition groups not only inside Burma but to a greater extent even at different border areas where the junta’s influence is far reaching; environmental problems due to the massive implementation and construction of mega development projects such as logging, mining, gas explorations and damming; land confiscation in view of the intensive militarization of the country which displaces ethnic minorities living at the countryside and all these are being intensified by extreme poverty that dominates the whole country. All these contribute to the massive deterioration of the country’s social and moral fibers which eventually if will not be remedied will lead to the eventual collapse of the whole country, if indeed Burma is not yet in such an abyss. One of the major repercussions of the worst off condition of Burma is the massive influx of illegal Burmese migrants to different border areas namely, Thailand-Burma border, India-Bangladesh-Burma border, and China-Burma border. 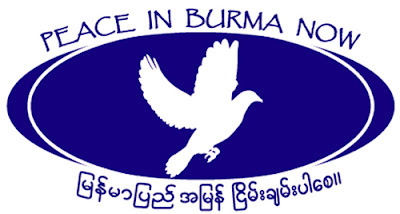 At the Thai-Burma border, in Maesot (a Thai town located on the North Western Thai Burma border) particularly where my organization has its base in reference to its work and services extended to the Burmese community living at the area, the plight of Burmese migrants and refugees are way far from a “bed of roses”. The life of Burmese migrants, illegal or legal doesn’t really matter, is quite relatively equally terrible vis-à-vis the kind of life they lived inside their country. They are discriminated in every sense and subject to different types of human rights abuses and atrocities. For instance, a migrant worker who works in a factory earns way far below minimum wage, they are not provided with a safe and good living and working condition, most factory workers are not issued with migrant worker cards which makes their lives more vulnerable to local police who frequently arrest them and ask money as bribes for them not to be sent to prison anytime they are caught or seen anywhere in Maesot. Moreover, the tragedy of these people is quite magnified more or less substantially in the lives of their children. The status of the migrant children are far critical than one can imagine. Most migrant children live in insecure places where their welfare are far from satisfactory and always under threat. They don’t have legal status which makes them stateless children devoid of a country and stripped off of the legal mechanisms a state can offer in protecting their rights and where they can receive care to develop their full potential as human beings. They don’t have access to proper education in the host country they are living and they are competing access to migrant schools operating at the border which are both insufficient in number and in quality – meaning relatively not so good quality education vis-à-vis to that of a proper/formal schools. This picture and life image of Burmese migrants is very much exemplified in the lives of the Burmese people living at the rubbish dump of Maesot where I saw Burmese people literally running around the place barefoot, babies crawling on these piles and piles of rubbish with barest minimal clothes on them, men and women scavenging for plastic to be sold to nearby recycling shops which give them an earning not even enough to feed their families for a day’s meal. Aside from the difficulties and the rigidity of life at the rubbish dump, these people are subject to arbitrary arrests and raids by Thai police in view of their illegal status in Thailand. Every time there is a crackdown, they run and flee to the nearby forests adjacent to the dumpsite to escape from police and from any other authorities that will either send them back to Burma or put them in jail if ever they are caught, while the police will confiscate and take away whatever they possess and will in most cases destroy their homes if indeed one can call these shanties on the top of the rubbish dump as homes. On the other hand, despite this horrible condition that a Burmese migrant confronts at the border town of Maesot, still, hundreds and thousands of Burmese are crossing the border to escape and ran away from the their own country and barely survive in another country. This is indeed incredibly unbelievable. This exodus of Burmese people to border towns is increasing everyday as the situation inside worsen. This phenomenon is inevitable due to the life threatening condition inside Burma as a result of the junta’s exploitative and repressive policies and governance. As long as the generals are ruling Burma, as long as there is no political change in the country, and as long as the junta’s draconian and exploitative reign continues to dominate in Burma, this image of massive movement of the Burmese people to border towns will never cease to exist and will definitely be a constant image or scene at the border town of Maesot.